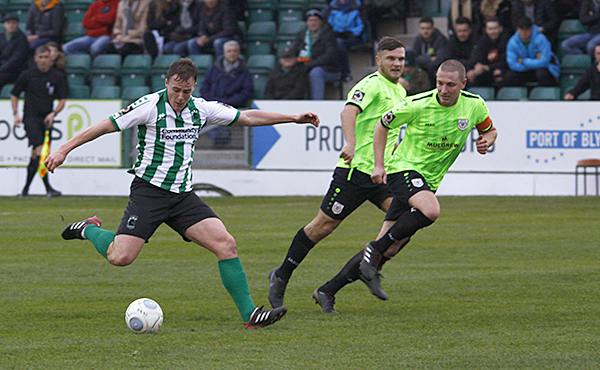 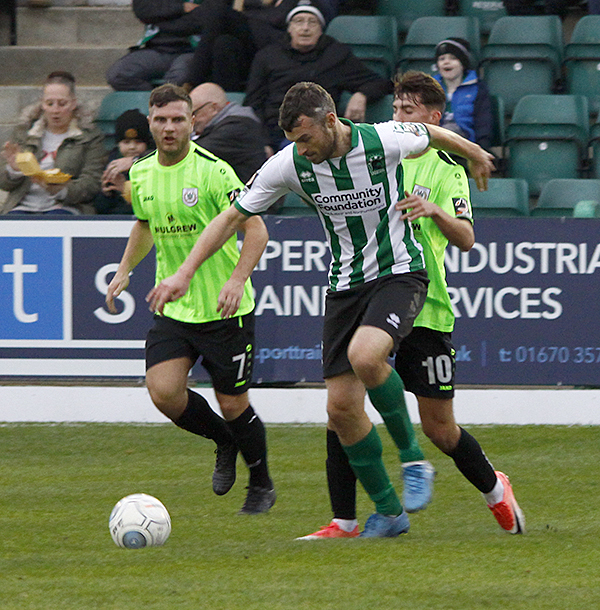 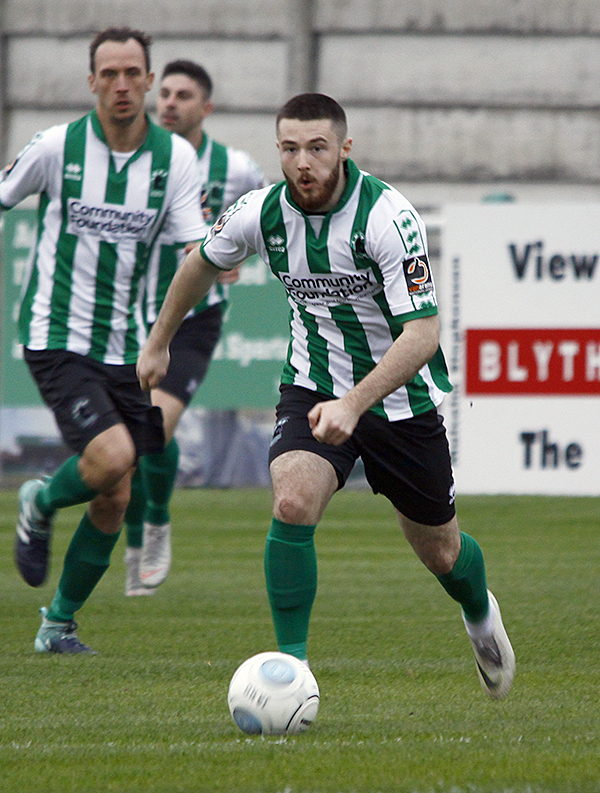 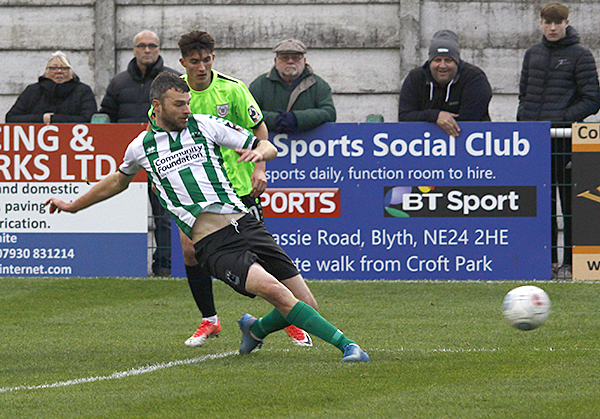 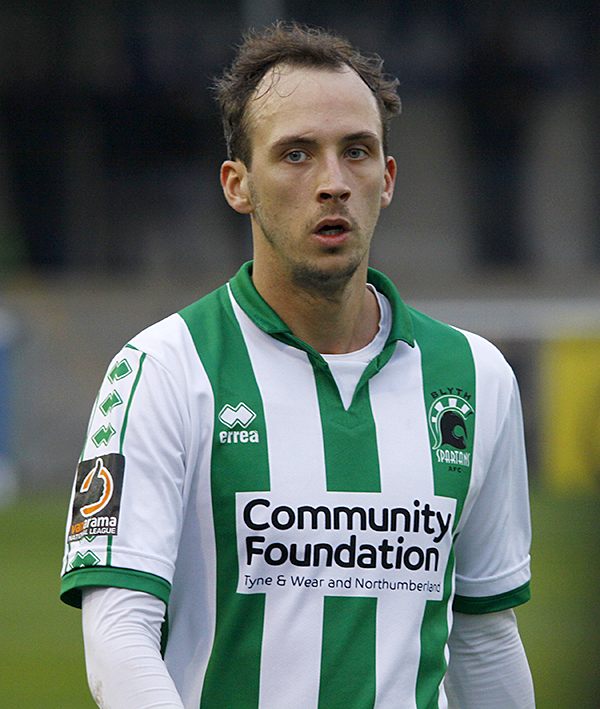 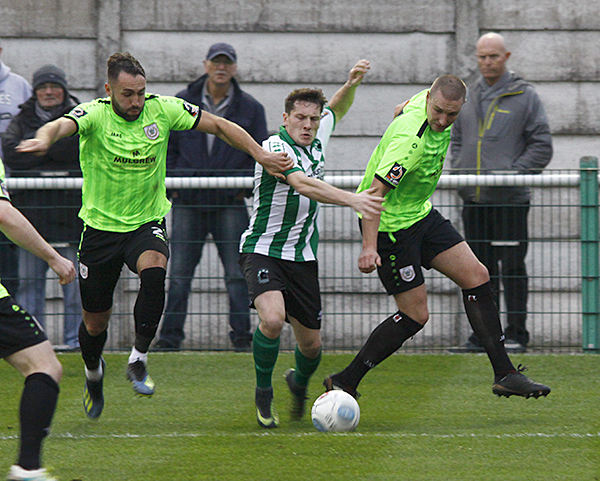 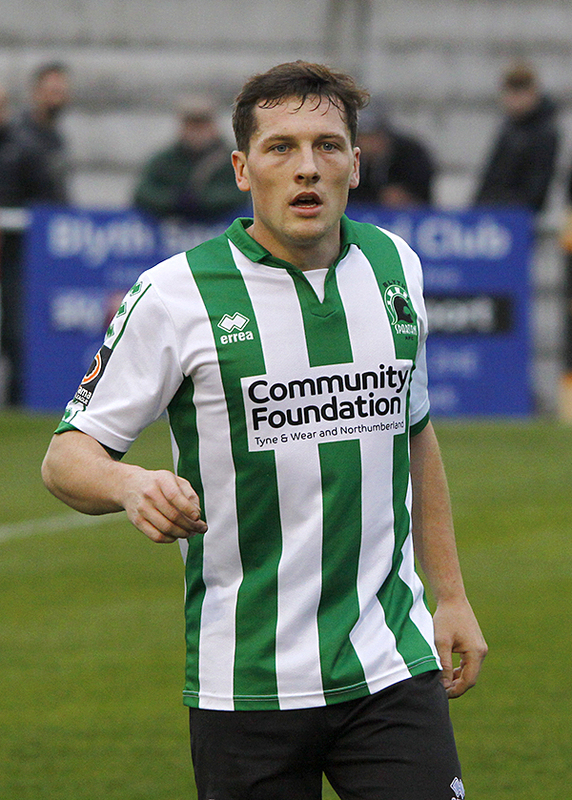 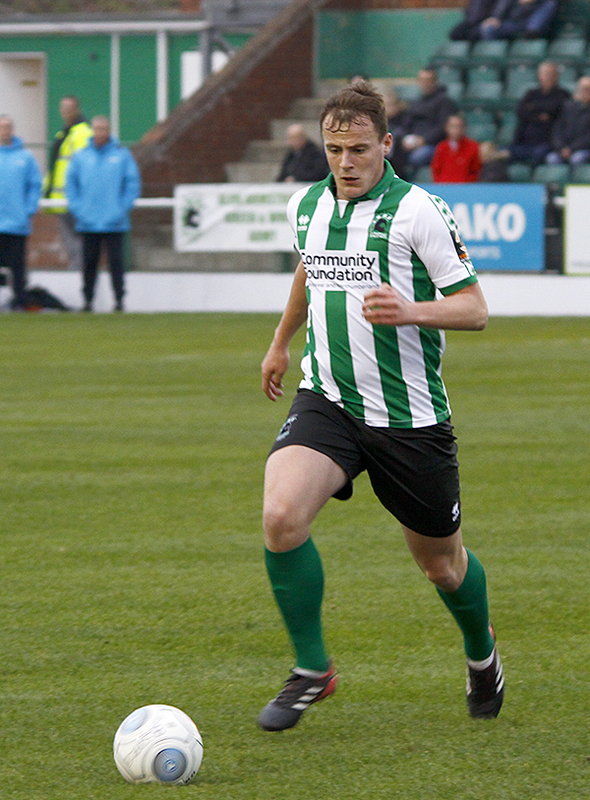 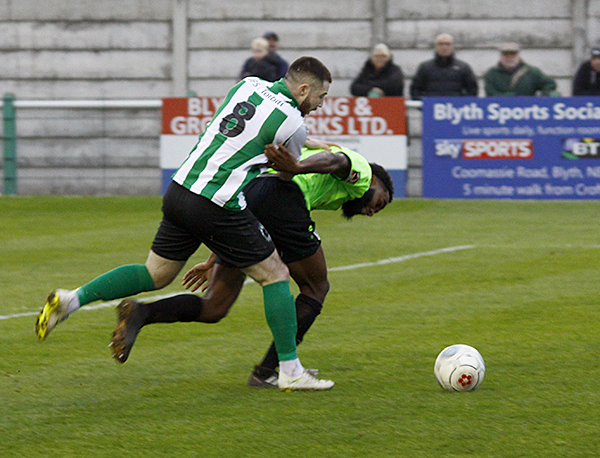 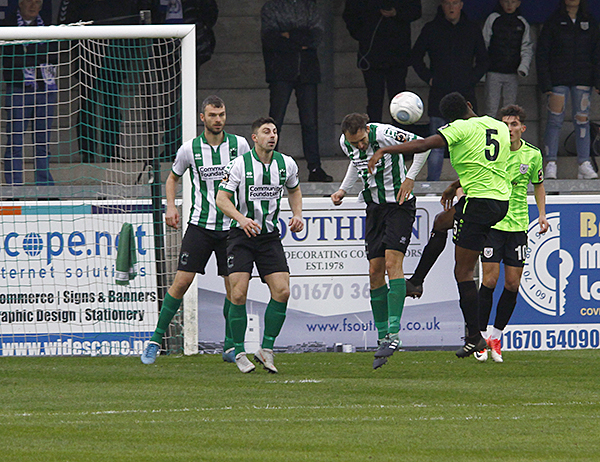 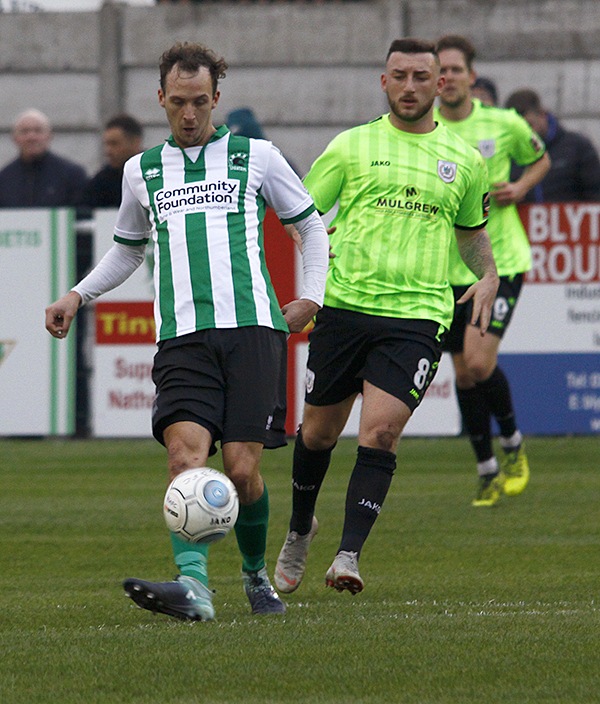 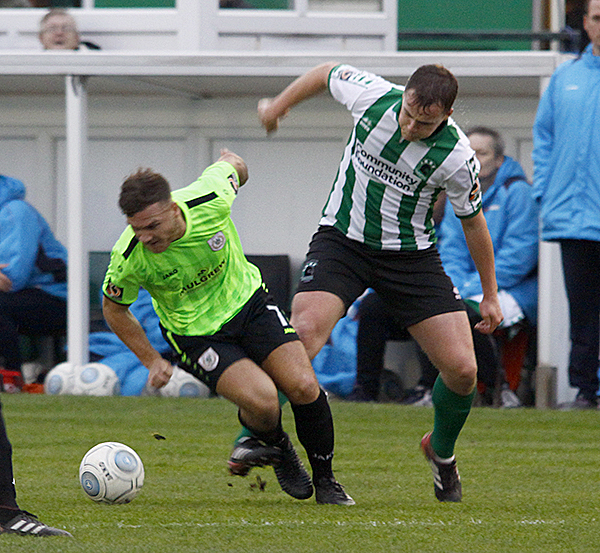 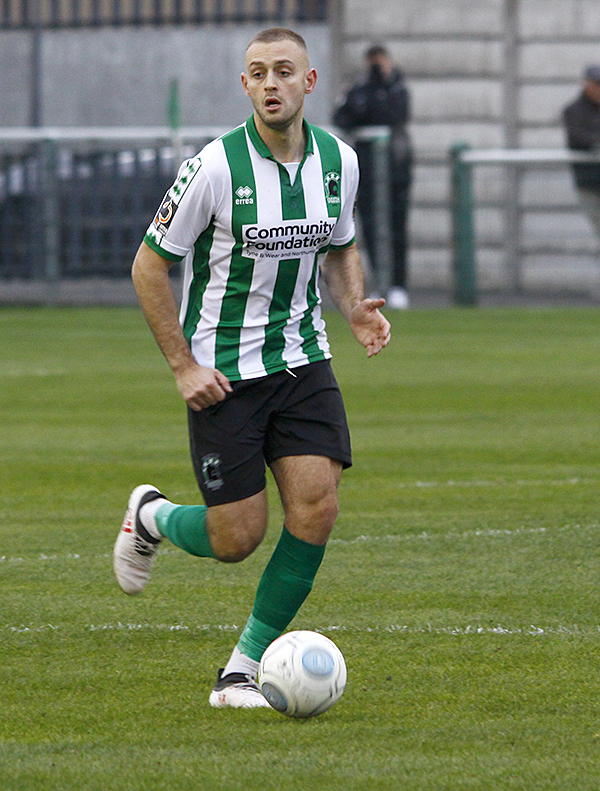 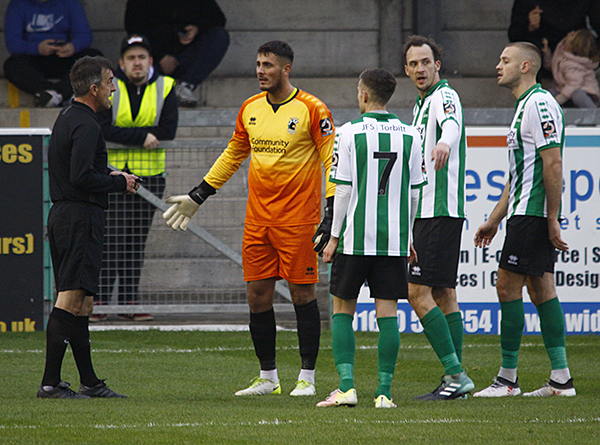 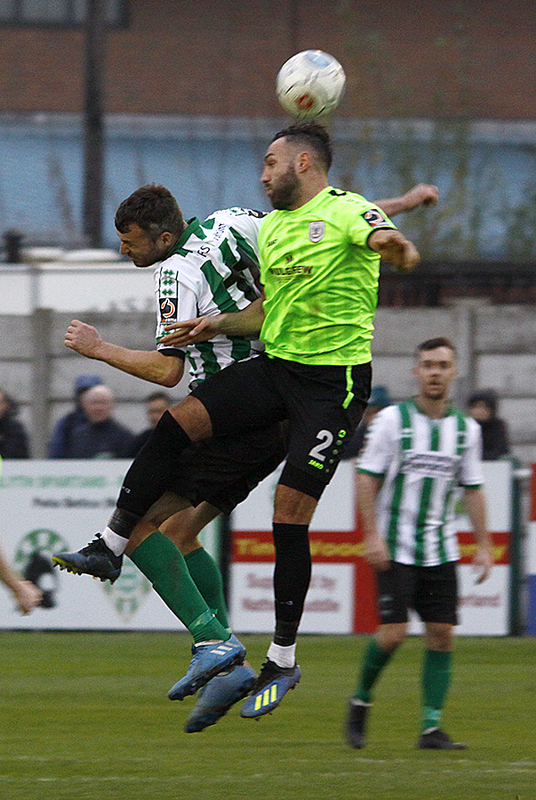 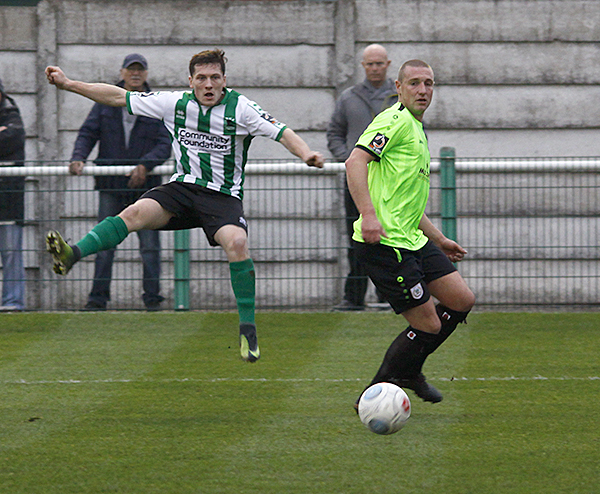 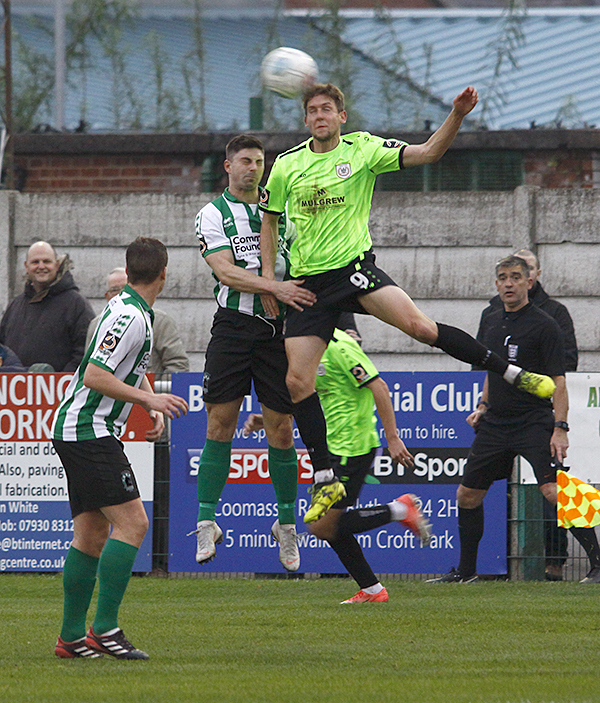 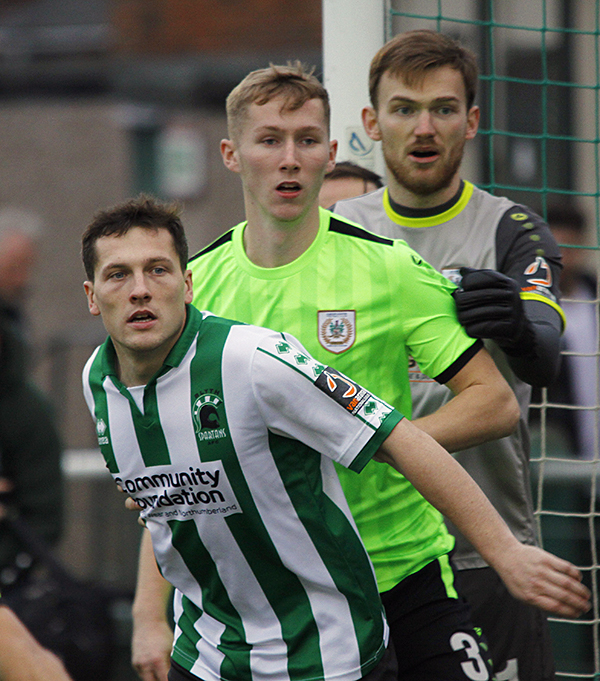 If ever there was a game of two halves, then the game between Blyth Spartans and Curzon Ashton fitted the bill. 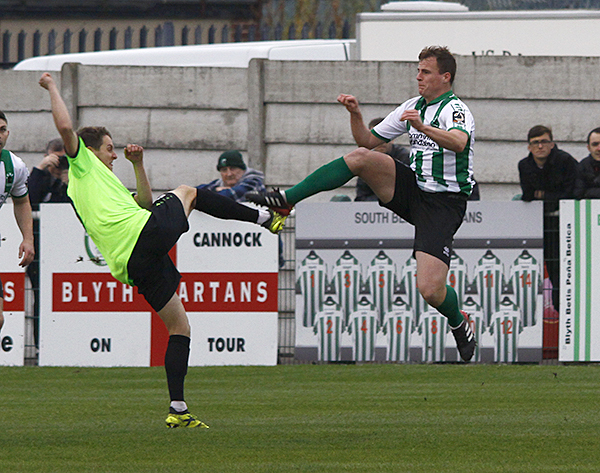 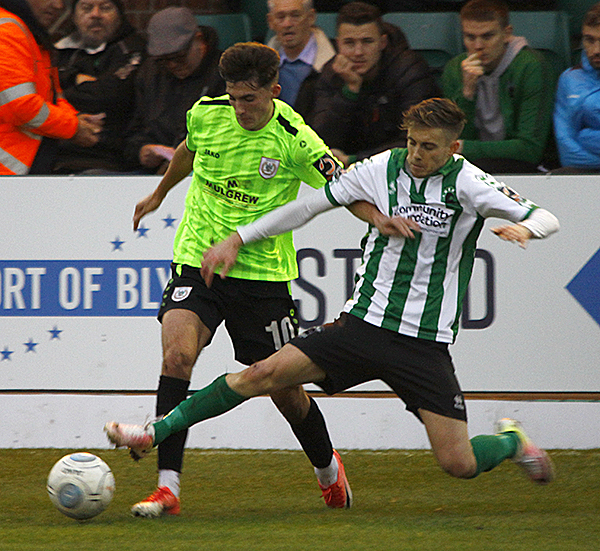 Spartans were two down at half time after the visitors bossed most of the first half. 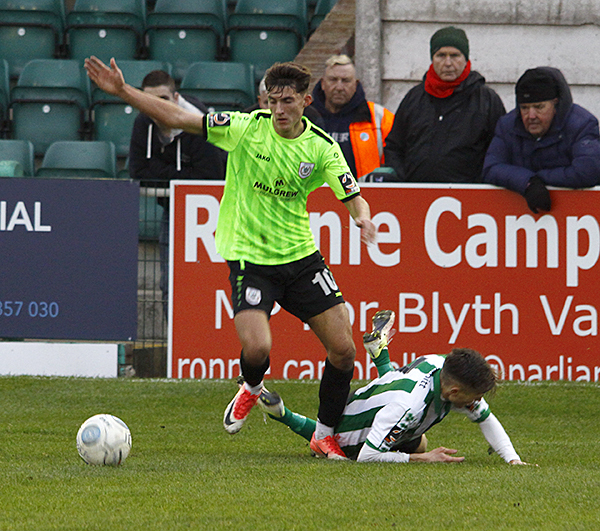 It looked like it would be damage limitation in the second half. 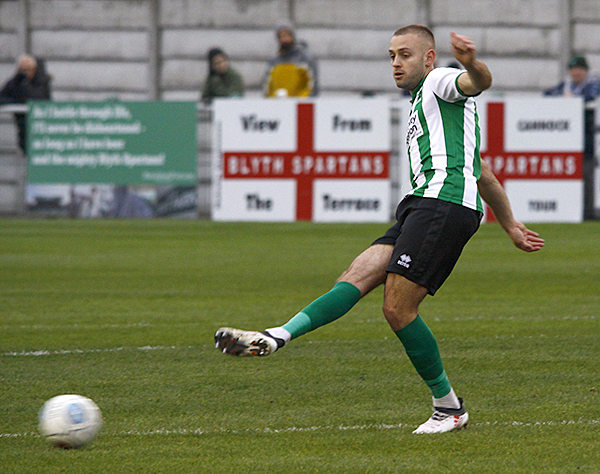 However, Spartans went from first to fifth gear from the start of the second half and went for Cuzon in a big way. 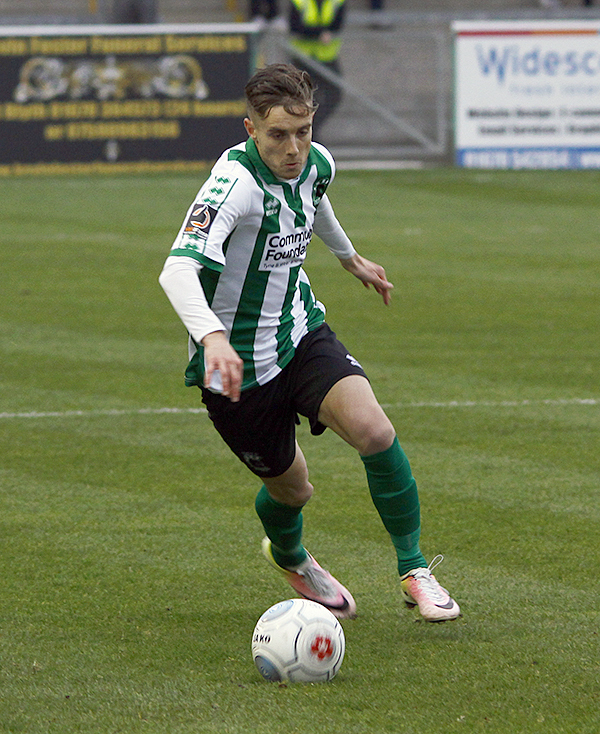 First to every ball, good passing and attacking in non stop waves. 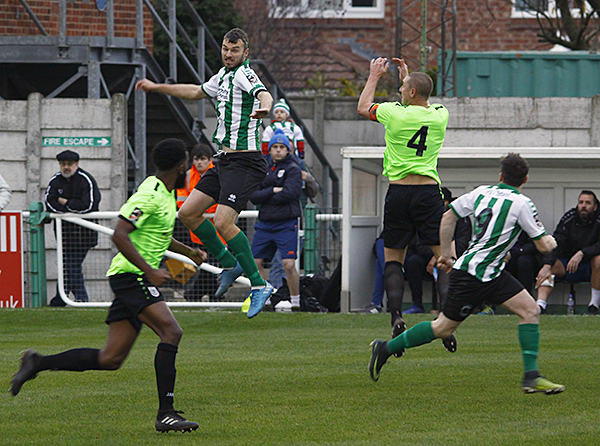 The visitors were on the back foot, they didn’t know what had hit them. 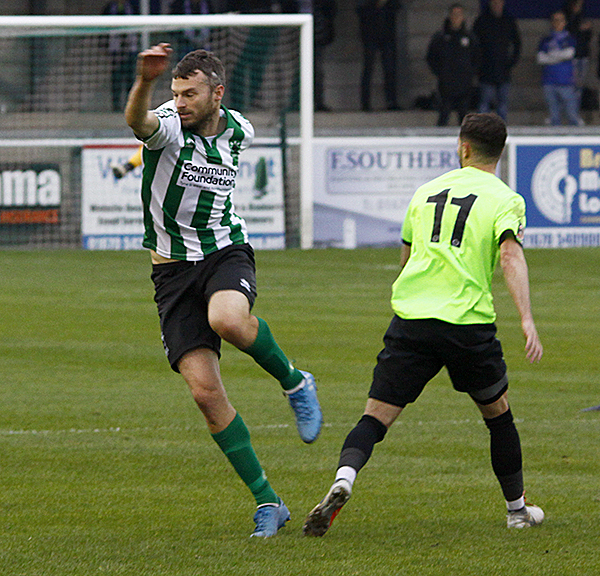 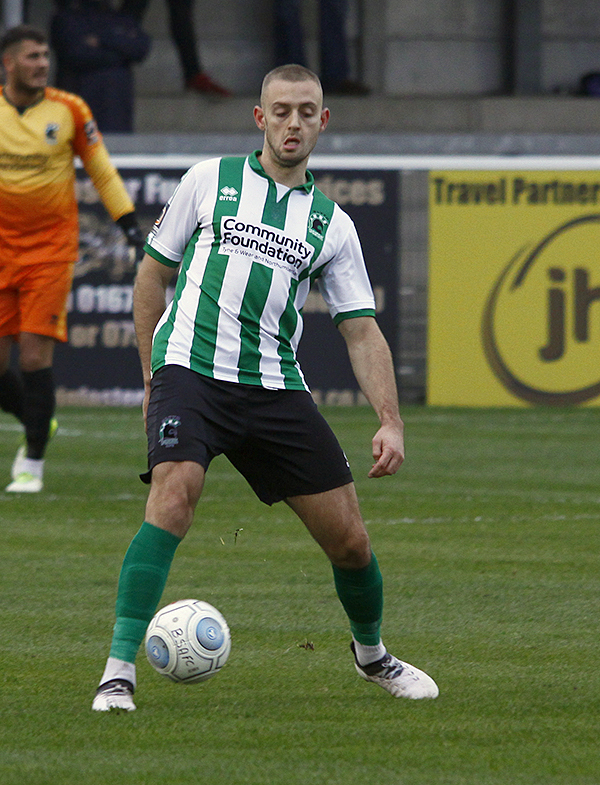 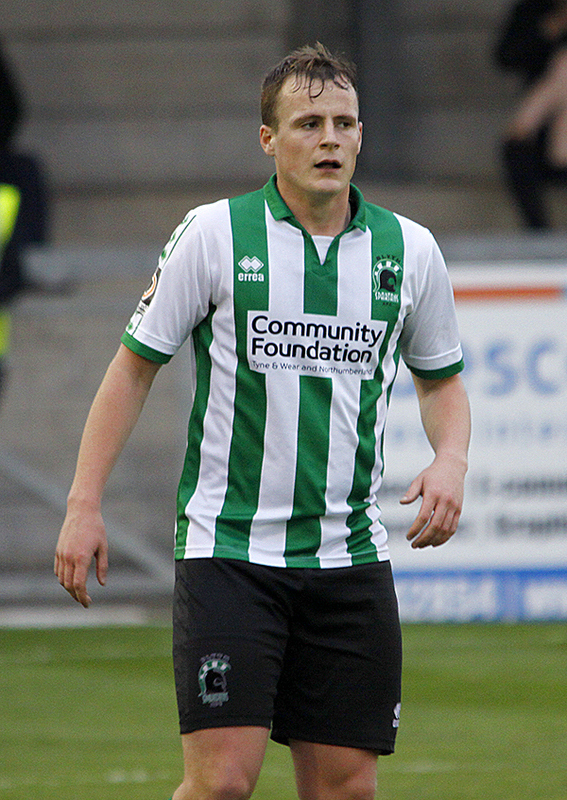 Bradley Fewster pulled a goal back for Spartans on 58 minutes to open the floodgates. 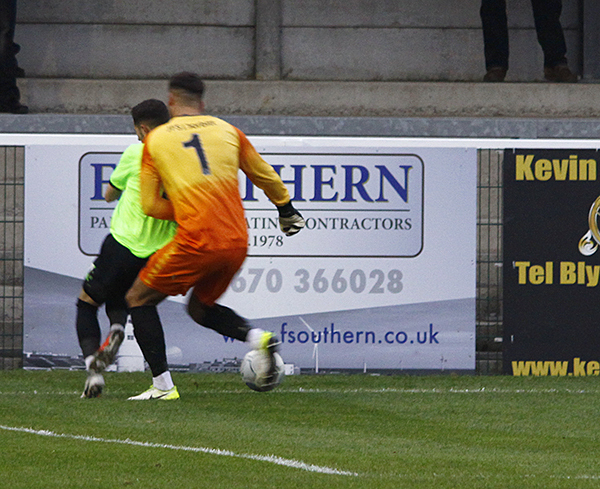 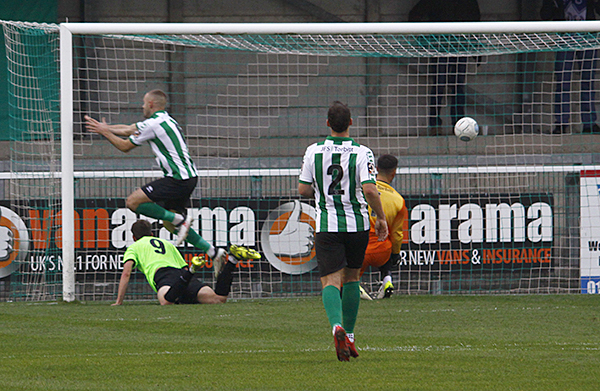 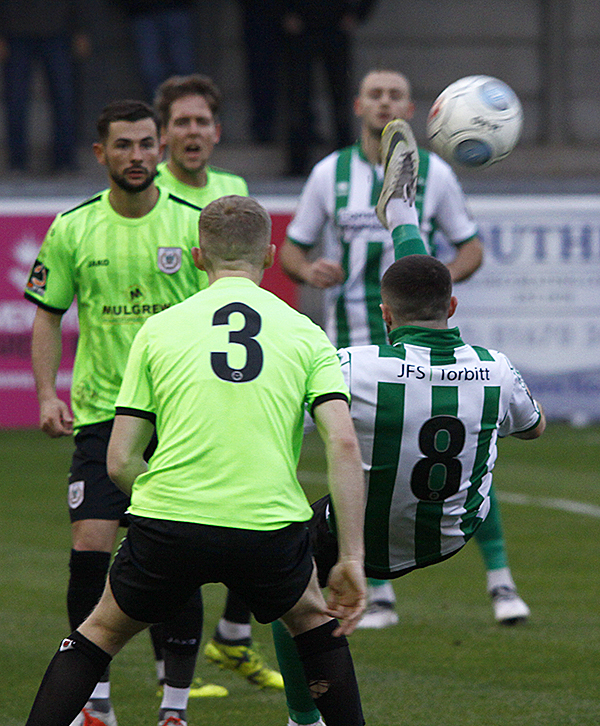 A goal from Dan Maguire made it all square before a fluke from Jarrett Rivers slipped out of the Curzon keepers hands and through his legs to secure all three points. 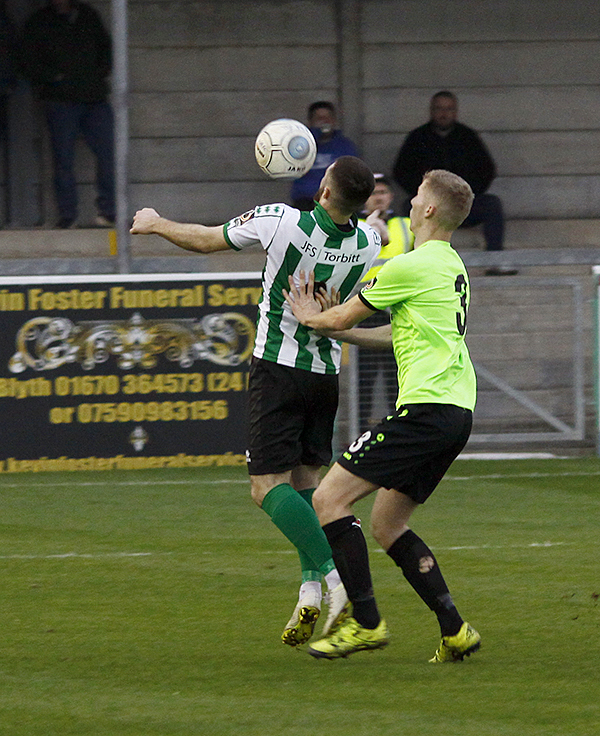 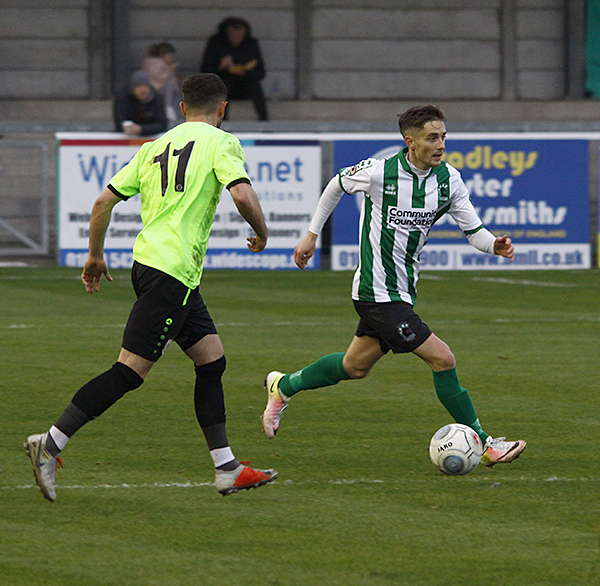 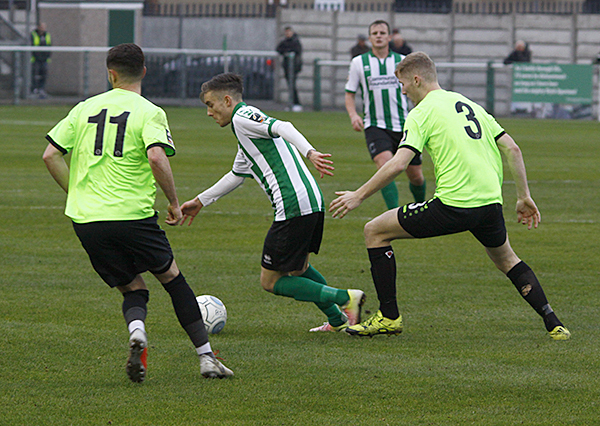 A selection of first half action shots from Bill Broadley.